So now I have to pay $59 to see my outfits. Your kidding right? I love this app but I’m not paying you $60 to see my outfits. Ridiculous! Buying what I already had? With this update I now how to purchase the $60 per year subscription to see my suggested outfits. That’s fine except I already had that feature before! I loved the daily 3 suggestions and the ability to see outfits for all my items, and I’m not going to pay for it. This is ridiculous- you can’t just take features from your customers and say they have to pay $60 to get them back. Next you’re gonna say I’ll have to pay you just to log my outfits! The direction Cladwell is going in is NOT a good one and I will no longer be recommending this app to my friends and family. 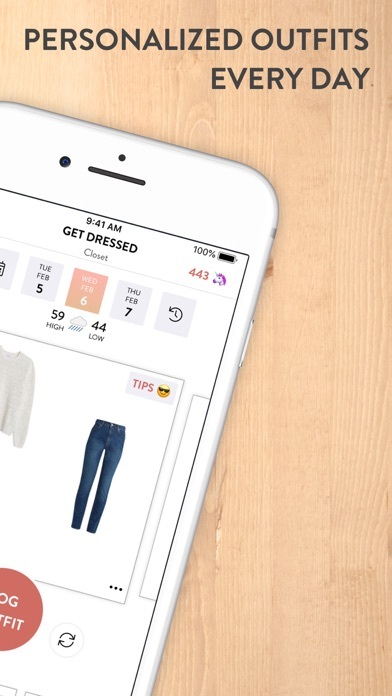 I love this cause it takes the work out of getting dressed, but the app itself has a lot of bugs that take time to be addressed. 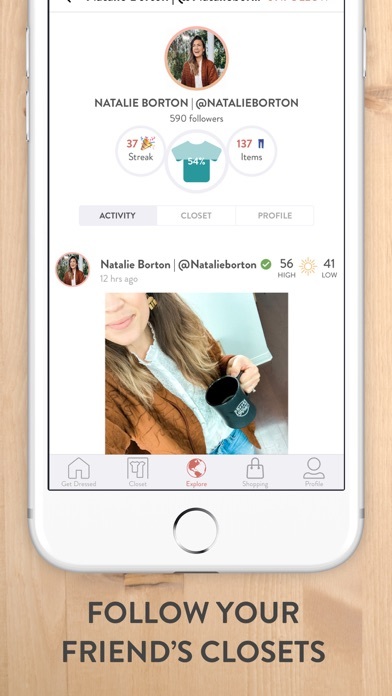 Way better than any other closet app! My Cladwell app is fine. Except for one bug that happens when I click on an outfit and select outfit detail. Then it takes me out of the app completely and when I go back into the app and try again it does the same thing. It’s good otherwise Though. It really helps me feel ‘in’ with the style. I LOVE CLOTHES!!! I am blessed to have so many clothes! But the curse is sometimes being overwhelmed with going back to the basics. I thought this app would be the answer. Sometimes I’ll get a suggested idea thrown at me that I will consider wearing but for the most part, What good is this app if I try to filter by an item and I’m told “we don’t have that outfit”??? WHAT???? 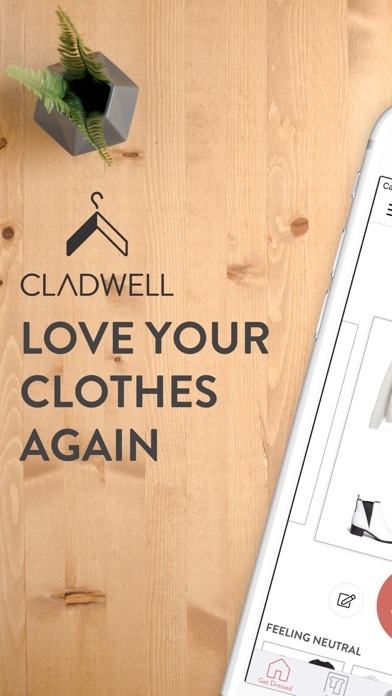 I thought this was an algorithm to show various combinations of different items based on what’s in your Cladwell closet. Throw out anything to me in my filter and I will get some ideas pop into my head of ways to wear for my own personal style. I recently bought a pink short sleeved button up blouse and was at a loss of what shoes to wear with it but was open to different bottoms - pants/jeans/skirt, etc. 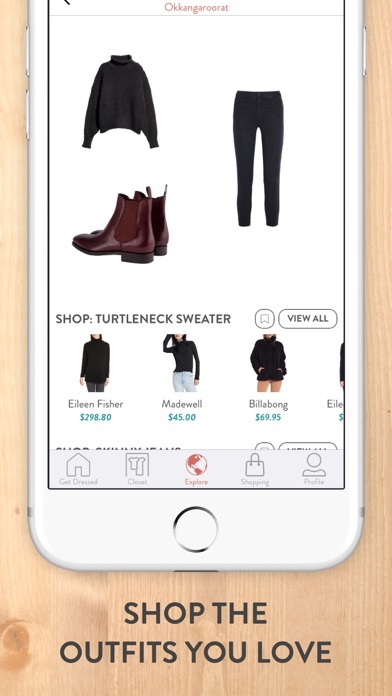 In the Cladwell app, I found and added to my virtual closet, the almost exact same blouse I just bought. Then a few days later I came back to filter this item for suggested options and I get the message “We don’t have that outfit” Are you kidding me??? It’s in YOUR list of items. It’s in MY virtual Cladwell closet along with hundreds of other articles of clothing. What the heck does that mean, “we don’t have that outfit”!!!??? I often find myself just going back to the basic Internet search to look for “(article of clothing) outfit” and I get flooded with ideas. Internet search = “Pink blouse outfit” and WOW!!! Look at that! 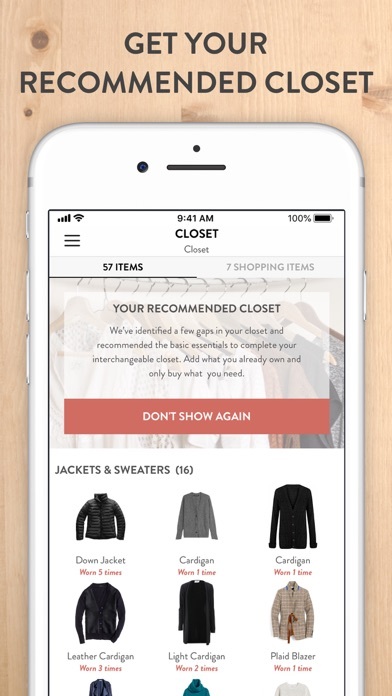 I was sadly mistaken to be so excited about about an app that could throw together ideas of whats in my own closet! 😢 I would LOVE an app that actually did that! Could be great but it keeps locking up. Also, evidently men don’t wear ties or pocket squares. It used to work great for letting you select outfits for the upcoming week. Since the last update I can only pick an outfit one day in advance. Please fix this. 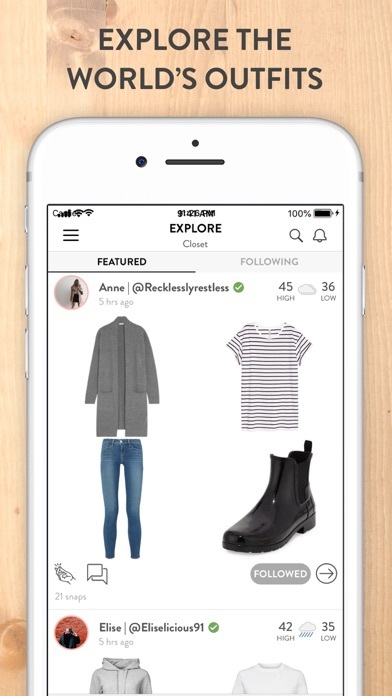 I find that this app only suggests a select few pieces clothing and then constantly creates outfits out of those few. I have a large variety of shirts and shorts (I live in Florida) that I would like to wear but it never suggests them-only the same three shorts (black, gray, and dark blue) and the same dozen shirts (most are boring: not fun designs or colors, just plain). However, keep in mind that it may be because I have a poor fashion sense or buy the wrong clothing; I am not sure, but regardless, I am not really satisfied. 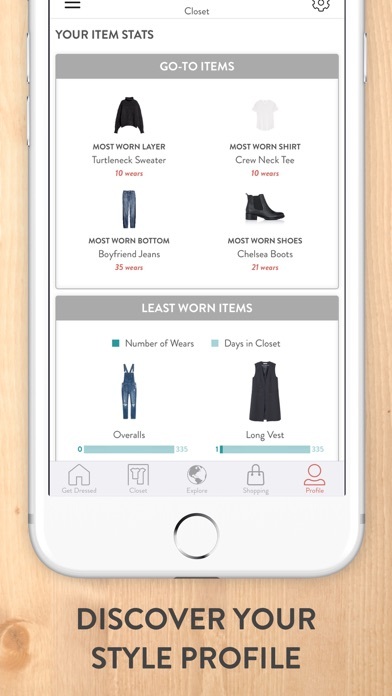 If you really want to meticulously keep track of how often you wear things, this app is too glitchy for that. Sometimes I will log something and it won’t show up as having been worn, and sometimes the data gets reset and you loose it all. I have talked to them about these but the issues were not resolved unfortunately. In general it gives you a pretty good idea of what you wear but is not 💯 accurate. I LOVE the idea of this app, and when it works, it’s great, for a while I was suggesting it to everyone I know. It was really helping me plan outfits I wouldn’t normally put together. But there have been so many updates, and it seems with each new feature there are just new problems. The recent addition of shopping suggestions has almost ruined this for me. The suggestions are often irrelevant, and the update has resulted in slower loading times and crashes every time I try to look at my possible outfits. I’m going to wait for the next update to see if it improves, but at this point I can’t use it as I’d like.